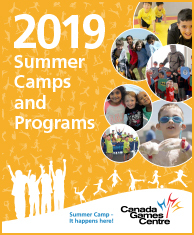 The Canada Games Centre PD, Holiday and March Break Camps are available for children currently enrolled in grades P-6 on days when school is out. Our program offers an assortment of one-day camps that will surely keep the kids talking! Typical days include everything from swimming in one of the three pools in our massive Aquatics Centre, playing physically active games on the 52,000 square feet of hardwood court space in our Field House, running laps on our 200-metre 6-lane indoor Track, crafts and classroom activities in one of our many community rooms, as well as outdoor play opportunities on our brand new playground. The program is led by enthusiastic, active and qualified leaders whose main objective is to create an inclusive and welcoming environment that ensures all participants are actively engaged, motivated, having fun and remaining safe. To support Physical Literacy within our community, we continue to align our Day Camps with the Sport for Life (S4L) model to help kids get an active start in life. All of our Camp staff will receive training in fundamental movement skills that will be incorporated in the program. These skills provide children with the confidence and ability to grow into active teens, and ultimately remain healthy and active for life. Camps will be held on HRSB Bus Cluster 1 and CSAP PD Days. Information on specific dates offered and individual camp prices can be found in our program guides as they are released. Camp registration is ongoing, but there are a limited number of spaces available for these camps, so register early! 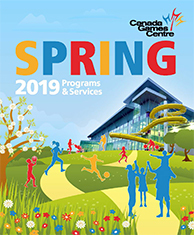 Spring Registration remains open until the second sessions begin.